European 10,000m gold medallist Jo Pavey will miss the World Championships in Beijing this August to aid her preparation for the 2016 Rio Olympics. "I am also aware I need to look after myself if I want to qualify for Rio." 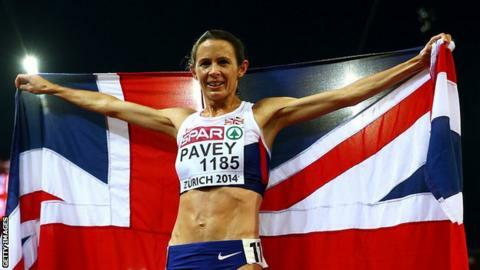 Pavey, who also won Commonwealth bronze over 5,000m in 2014, added: "I trained extremely hard during 2014 and I believe if I push as much again this year I will increase the risks of not being at my best for 2016. British Athletics' performance director Neil Black said: "We are fully supportive of Jo's wishes not to be considered for selection for the World Championships in Beijing.